Is an Electric Furnace the Best Choice If My Home Doesn’t Use Gas? Saddleback Plumbing Wins the Angie’s List Super Service Award—Again! 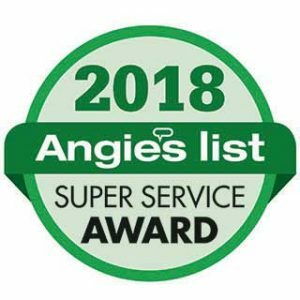 Everyone here at Saddleback Plumbing is proud to announce that we’ve again won the Angie’s List Super Service Award, this time for our work in 2018. To win the Super Service Award, a contractor must meet strict eligibility requirements, which include maintaining an “A” rating in overall grade, recent grade, and review period grade. Winners must be in good standing with Angie’s List and undergo additional screening. For over two decades, Angie’s List has been a trusted name for connecting consumers to top-rated service professionals. Saddleback Plumbing has served Orange County since 1981. Rely on our award-winning customer service.